While employers may have their own reasons for hiring students well in advance of graduating, other variable factors can affect that decision as well. For example, the 2008 recession cost many people jobs, hurting the economy. On a positive note, it created opportunities for students to prove themselves as potential employees. Today, the economy in the United States is bouncing back and producing not only a competitive job market, but a race among employers to hire the best candidates. Leading up to the Graduate Employment Conference Europe (GEC Europe), which has been postponed, College Recruiter is publishing the opinions of experts based on a series of questions related to global recruitment and talent acquisition. 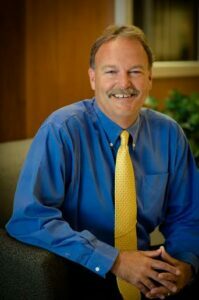 In today’s article, Steve Patchin, Director of Michigan Technological University’s Career Services department, answers the following question: Why do employers hire students for co-op work, internships, and other temporary jobs a year and sometimes more before those students are scheduled to graduate? “I think there are two reasons why employers hire students for co-op work and internships a year or more before they are scheduled to graduate. First, in 2008, when the economy quickly entered a recession, companies froze their hiring and rescinded a lot of job offers they had extended to graduates. This was done in an effort to trim their expense lines on their balance sheets. A year later, we saw an increase in the number of co-ops and internships being offered by companies. The companies recognized they were running lean and were not prepared from a talent perspective to react when an economic upturn occurred. They were using these co-ops and interns as their talent ‘bench.’ They provided students’ real-world experience while trying out this talent to see how they fit with their cultures and missions. They were also measuring their competencies and how well they could apply the skills they had acquired in school to real-world demands. In the last three years, we have seen rebounding markets. The talent pipeline they developed in 2009 has been depleted. As a result, where they previously have hired juniors and seniors for co-ops/internships, companies are now moving down to recruiting sophomores and freshmen for these positions. In the last two fall career fairs at Michigan Tech, we saw many freshmen, who don’t even have a registered collegiate grade point average yet, being hired for internships for the following summer. This fall, we began witnessing companies offering a $1,000 signing bonus to students being hired for internships if they agreed to accept the positions within 72 hours of the offers being made to them. Again, it’s all a matter of securing talent in a competitive marketplace. The other trend we are seeing is that these co-ops and interns are being offered another co-op/internship with that company before finishing the co-op/internship they currently have, enabling them to go back to school for one or two semesters, and then return to the company to work. We expect that in the next five years, companies coming to career fairs will be disappointed at the number of seniors available to hire because they will have already secured positions with companies they have had co-ops or internships with before their senior years have begun. As Director of Michigan Tech’s Career Services department, Steve Patchin with his team developed CareerFEST, a series that helps students explore professional options while focusing on every aspect of career development skills, from resume building to job-offer negotiations. As part of this initiative, Steve and his team organize, coordinate, and host Industry Days, bringing companies together on campus to provide students with hands-on activities that illustrate the range of careers available in their fields, as well as offering insights on the future directions of their industries.